A 501(c)3 and 501(j) tax-exempt organization. Channeling donor support for the advancement of the game. 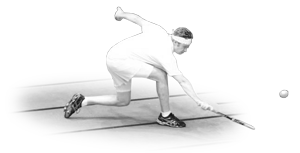 The history of court tennis, or real tennis as it is known abroad, is both colorful and complex. It is a game that has weaved its way through royal life and public courts, from 15th-century monks to Gilded Age splendor to modern day. The sport has the ability to unite generations – bringing millennials and baby-boomers together for a courteous display of athleticism and good sportsmanship. Rooted in tradition, with fascinating rules and an uncommon code of civilized conduct, court tennis fosters a strong sense of community among players and supporters who are committed to the long-term prosperity of the game. The USCTPF serves as a steward for this community, ensuring that the unique qualities of court tennis remain relevant for generations to come. 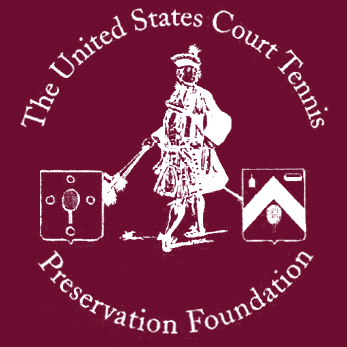 In working to build for the future of court tennis, while maintaining its core values and preserving its history, the USCTPF acts as a fiduciary partner in fostering the growth of court tennis through several core national programs. Working with the USCTA, athletic clubs, and professionals, the Foundation supports the development of juniors, elite juniors, women, and top amateur Court Tennis players. From our current project in Charleston to the development of the court in Washington, the Foundation works alongside committed donors to improve the condition of courts throughout the U.S.
"We support the foundation because most of our family is involved with the game. The foundation works hard to maintain and promote court tennis - a great organization with terrific leadership!"